French President Emmanuel Macron has said that he wants the fire-ravaged Notre Dame Cathedral rebuilt in just five years. In a televised address on Tuesday evening, the optimistic leader declared that the building would be “even more beautiful” after repairs had been completed. “We’ll rebuild Notre-Dame even more beautiful and I want it to be completed in five years, we can do it,” said Macron, who has already launched a massive fundraising campaign for the project. “It’s up to us to convert this disaster into an opportunity to come together … It’s up to us to find the thread of our national project,” he added. Unfortunately, those involved in the restoration work have warned that it could take decades to complete. 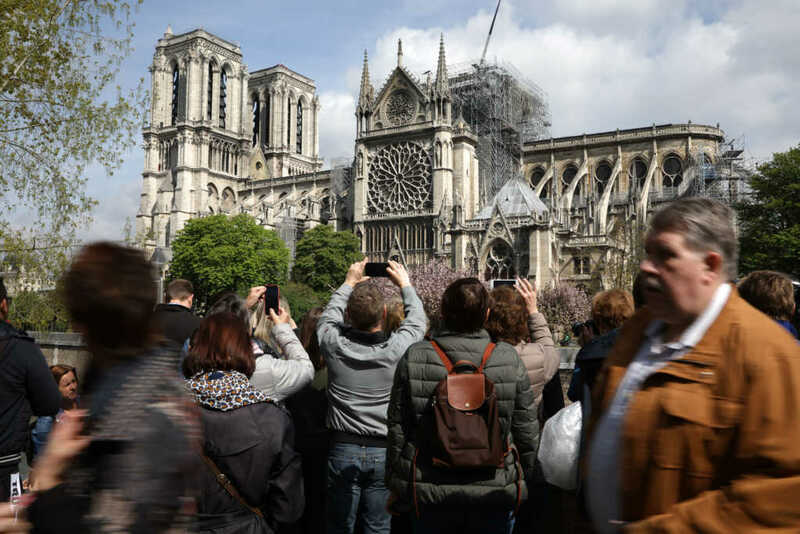 According to the BBC, Frédéric Létoffé, who is the head of the group of companies for the “Restoration of Historic Monuments,” estimated the timeline to be between 10 and 15 years. Despite the extensive damage, many priceless items were rescued from the scorched interior. Among the items saved was Notre Dame’s organ, which is among the world’s largest and most famous. A precious replica of the crown of thorns worn by Christ on the cross was also preserved, along with gilded candlesticks, priceless artwork and several furnishings — they were all ferried out of the building via a “human chain,” according to reports. The cause of the blaze, which was tackled by some 500 firefighters, is still relatively unknown, though many have speculated it could have been linked to major renovations on the structure that were taking place at the time of the incident. The Paris prosecutor’s office said it had opened an inquiry into “accidental destruction by fire,” according to the BBC. In the wake of the inferno, thousands upon thousands of people have sent messages of support and millions have been pledged in financial support to rebuild the historic place of worship. Many have already pledged substantial financial support. French fashion mogul Francois-Henri Pinault has reportedly pledged 100 million euros ($113 million) toward the effort to restore the church. Authorities have not yet determined the exact cause of the blaze.